Remembering things we have recently seen, in visual short-term memory, allows us to piece together the visual world and to perform many other tasks that are critical to everyday life. Cognitive scientists have shown that we don’t just remember items in isolation, but also their relationship to their context, which improves memory. We are also capable of improving our memory by being aware of how accurate it is – an ability called metacognition. As we get older, many aspects of visual short-term memory decline, but it was not known whether the benefits associated with context and metacognition also decline, are preserved, or even become more useful with age. 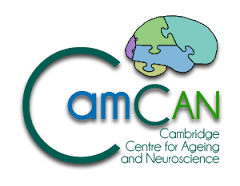 As part of the Cam-CAN project into healthy aging (www.cam-can.org), Daniel Mitchell from the MRC Cognition and Brain Sciences Unit at the University of Cambridge, and Rhodri Cusack from Trinity College Dublin, report a study addressing this question, in a recently published article in the journal Psychology and Aging. Volunteers, aged from 18 to 89, memorised sets of items in the presence or absence of consistent context, and were then asked to report one of the items, as well as their confidence in their memory of it. As expected, memory tended to get worse with age. However, crucially, context and metacognition remained just as useful. The authors suggest that strategies which take advantage of these preserved abilities might be valuable in offsetting the decline in visual short-term with advancing age.